Effective treatment for persistent Lyme disease symptoms is available for patients in the Greenville, Spartanburg, and Anderson areas, but it requires a high index of suspicion, a long term view, and realistic expectations. Lyme disease is a bacterial infection transmitted by a bite from the Borrelia Burgdorfer tick that can cause arthritis, musculoskeletal, heart and brain problems. Other reported symptoms which may come and go include fatigue, mood changes, psychiatric disorders, dizziness, shortness of breath, eye inflammation, heart rhythm problems. 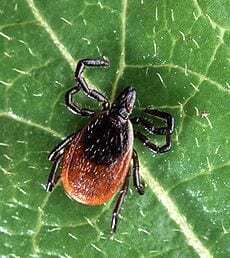 Since the incubation period is one to two weeks, because many patients do not recall having been bitten by a tick, and since many Lyme disease symptoms mimic those of other disorders, the diagnosis of can be difficult. 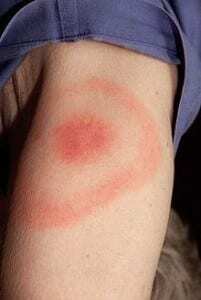 While early treatment with antibiotics is preferred, since the Lyme blood test takes three to four weeks to become positive in the absence of the classic bulls eye rash (which may appear at all of take as long as thirty days to manifest) treatment may be delayed. Likewise later on Lyme antibody tests usually remain positive for months to years, has cross reactivity with other infections such as Epstein Barr, cytomegalovirus, and Herpes simplex so many physicians believe that the presence of a positive titer is not evidence of recent infection, or justification for treatment or retreatment with antibiotics later on. 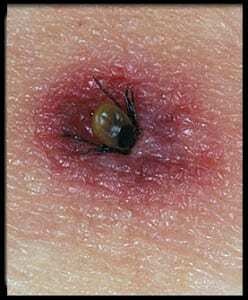 In the early stages of Lyme disease patients may experience flu-like symptoms, a large, expanding skin rash around the area of the tick bite, nerve problems and arthritis. Not all patients experience all symptoms. 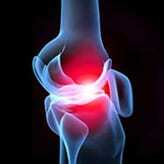 If antibiotic therapy is not initiated after several weeks recurrent attacks of painful, swollen joints can occur. These attacks can last for days to months. While the knee is the most commonly affected these attacks can shift from one joint to another; usually one or a few joints are affected at any given time. Lyme disease can also stiff neck and severe headaches, temporary paralysis of facial muscles (Bell’s palsy), numbness, pain or weakness in the limbs, or poor coordination. More subtle changes such as memory loss, difficulty with concentration, and a change in mood or sleeping habits have also been associated with Lyme disease. Nervous system abnormalities can develop several weeks, months, or even years following an untreated infection. 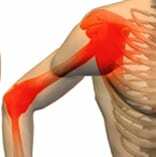 These symptoms often last for weeks or months and may recur. Most people with Lyme disease respond well to antibiotic therapy but others have persistent symptoms, or symptoms that recur, making further treatment necessary. In addition, late persistent disease may require a more comprehensive approach than antibiotic therapy alone to address symptoms such as pain, weakness, fatigue or other manifestations that can occur with Lyme. Neurologic manifestations, weakened ligaments, painful soft tissues, fatigue, decreased memory, psychological, and comorbid disease should be addressed both individually and in the context of a compromised neuro-endocrine-immune axis. While every patient is different several commonly employed interventions include nutritional support, correction of laboratory abnormalities, injection for nerve block, regenerative medicine techniques for weakened soft tissue, and restorative therapies that increase function and promote brain connectivity. Lyme patients who understand that there will be no touchdown pass (short term treatment directed toward cure is not a likely) will not be disappointed by unrealistic expectations. Accepting that improving quality of life over time by reducing the total number of things that interfere with wellness provides a frame of reference from which successful treatment and positive outcomes can be anticipated.